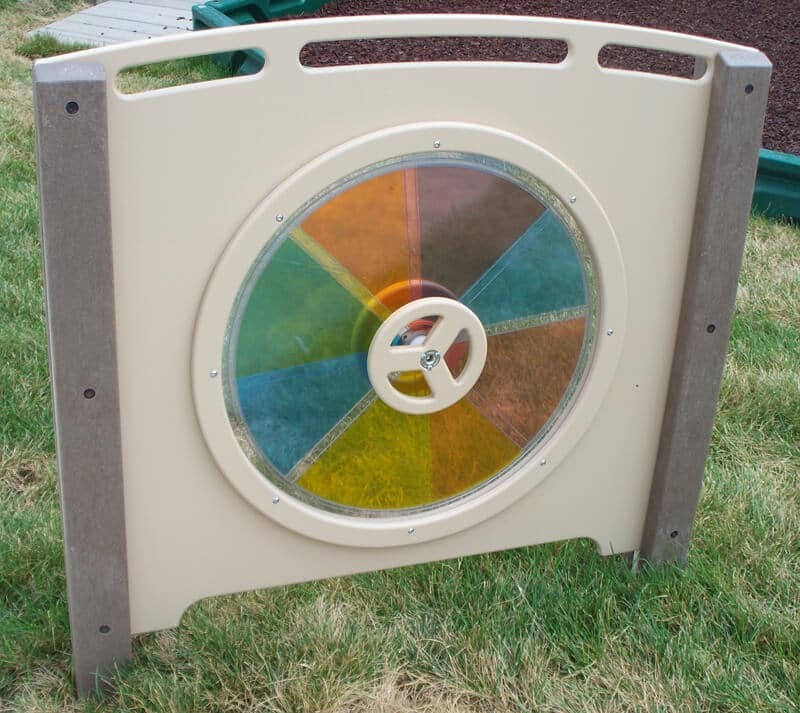 The Color Wheel is one of our most popular pieces of preschool playground equipment. Its unique design allows children to mix sunlight with primary colors to create secondary colors. With two wheels of clear plastic inside the Color Wheel, each wheel is divided into four sections—clear, yellow, red and blue. One of the wheels remains in a fixed position while the other wheel turns. As the child turns the wheel and the light shines through, different colors are created. For example, when the light flashes through the yellow and blue sections, green is produced. With the science learning taking place, this preschool children’s outdoor play equipment is perfect for the traditional or natural playground.